Prayer Is Power – What is Mantra Meditation? There are two types of mantra meditation, Japa and Kirtan. Japa is a quiet and personal meditation where one chants on beads. Kirtan, on the other hand, is the singing of mantras with others, often with musical instruments. Japa is counted on a japa mala, the sanskrit word for prayer beads. These beads are used to count the number of mantras chanted. One chants the Hare Krishna mantra on each of the 108 beads of the mala to complete ‘a round’. The focus while chanting is to hear the sound of the mantra. If the mind wanders to other thoughts (which it will!) gently bring it back on the mantra. Though one can chant japa at any time of the day, the morning hours around dawn are recommended. The stillness and peace compliment focused and contemplative chanting. Kirtan is another way to practice mantra meditation. There are lots of types of kirtan. Some can be quiet and soothing, some more energetic. Here is a sample of kirtan. 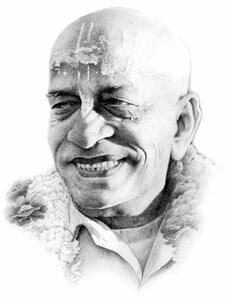 We chant the Hare Krishna mantra to draw out the spiritual happiness that is inside all of us, and to develop our Bhakti Yoga.